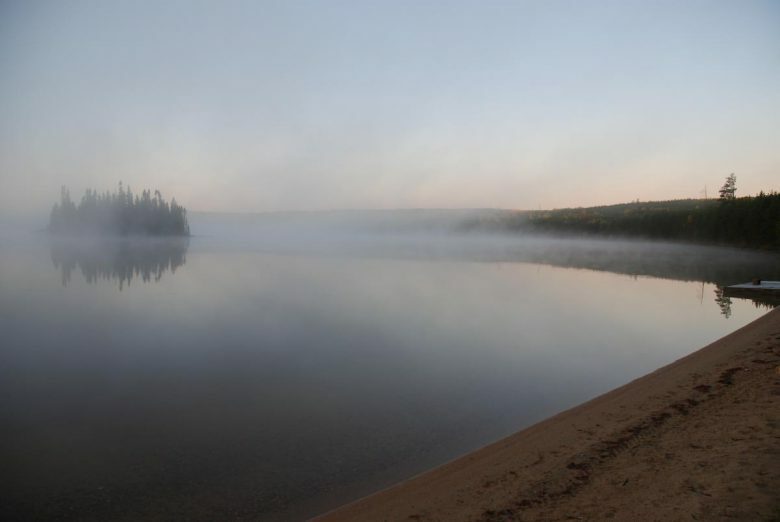 Research findings from the IISD Experimental Lakes Area (IISD-ELA) reveal that climate change is not just a future concern, but is already having an impact on the temperature of our air and the length of our seasons. In our 47 years of groundbreaking research, what have we discovered when it comes to climate change? First, our air is getting warmer, and this is happening even quicker in northern temperate climates (such as in the boreal forest where IISD-ELA is located). Research from the site has found that, since 1969, mean annual air temperatures have increased by 0.42°C/decade at the facility in Northwestern Ontario, much faster than the global average (0.15–0.30°C/decade). Since 1998, air temperatures have continuously been among the highest in our 47 year record (see Figure 1 below). Figure 1. 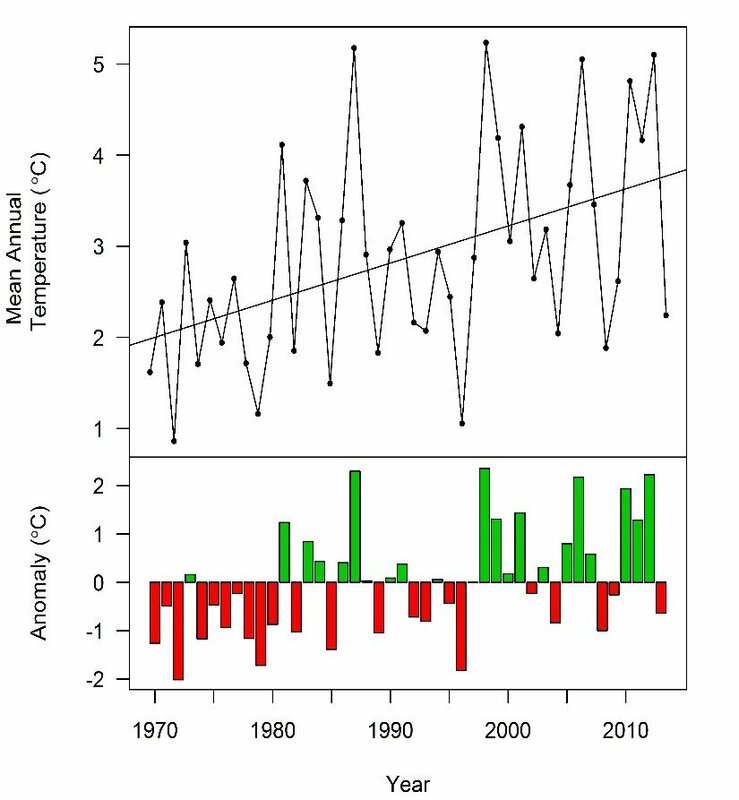 Changes in mean annual air temperature at the ELA since 1969. The lower graph displays deviation in mean annual air temperature from the long-term average. Research also reveals that autumn and winter months are warming much faster than summer months. Long-term increases were highest in December and January, where temperature increased by 1.3°C/decade and 1.1°C/decade, respectively, since 1969. There have been no detectible changes in summer (May through August) air temperatures. These seasonal trends are obvious when comparing average monthly air temperatures during the decade at the beginning of our dataset (1970–1980) to those during a decade at the end of our dataset (2003-2013) (Figure 2). These data indicate that air temperatures during the winter months were 2–3°C warmer during the most recent decade. 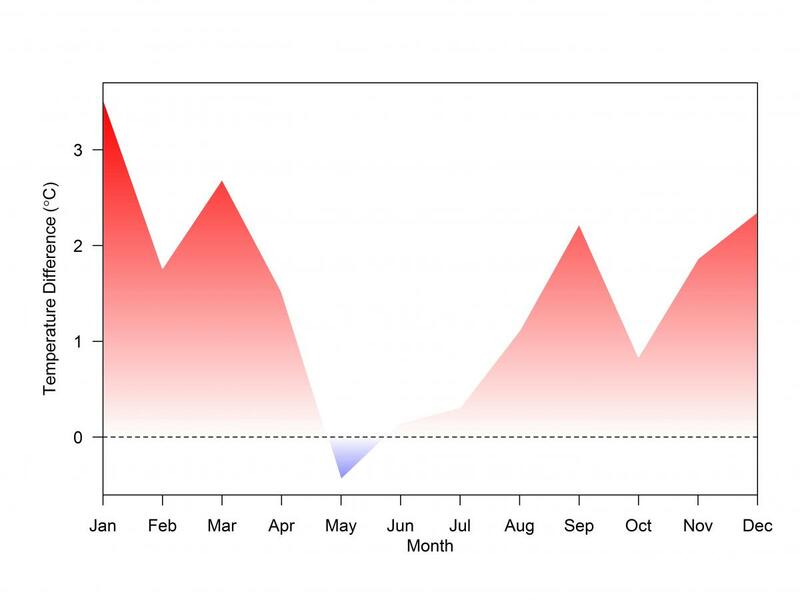 Changes in air temperature during summer months were minor and not statistically significant. There are some long-term changes in precipitation on the horizon. Most climate models predict that, over the next century, Western Canada will become drier and Eastern Canada is set to become wetter, with increased precipitation. ​Such changes are important for our lakes and rivers, affecting water quantity and many of their physical, chemical and biological properties. For example, over the last decade, the Lake Winnipeg basin has seen greatly increased precipitation, which has been linked to increased loading of nitrogen and phosphorus from agricultural lands into rivers feeding Lake Winnipeg. These “extra” nutrients have helped promote large algal blooms in the lake that are associated with poor water quality and beach closures. A similar phenomenon has occurred in the watersheds feeding into western Lake Erie, where climate-enhanced nutrient loading combined with draining of agricultural lands is also responsible for increases in algal blooms. At IISD-ELA, the long-term record of total annual rainfall appears to follow a wet-dry-wet cycle within a 31-year period. The late 1960s and early 1970s were a wet period, followed by dry conditions during the mid-1970s through the mid-1980s. Since the mid-1980s the region has received increasing amounts of rainfall. The long-term record revealed no significant changes in snowfall.